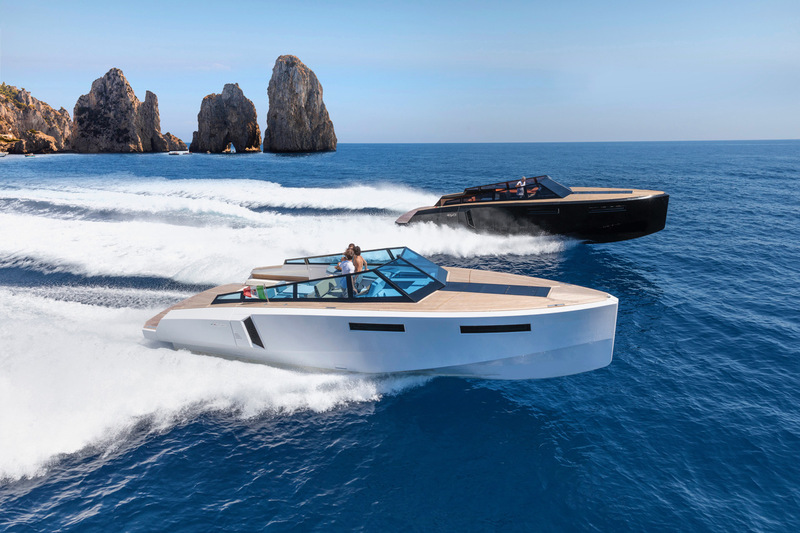 Evo Yachts is a new line of boats, created with passion, skill and Italian craftsmanship. Traditional style combined with innovative technologies and cutting-edge design, result in luxury vessels of exceptional great elegance. With its sleek and minimalistic design, the Evo Yachts have a luxurious and high-class design. The hidden cleats and fenders leave the lines completely clean and enhance onboard safety. Italian identity with a modern innovative twist. All Evo Yachts are equipped with state-of-the-art technology, always keeping the needs of the shipowner in mind. All functions on board, ranging from the opening of the “XTension” borders to the control of base parameters, are easily managed by touch screen. Complete control and permanent functionality, in all of the international waters. All systems ruled by hydraulic pumps can also be activated manually, in absence of electric energy, without needing any tools. The Evo Yachts brand originated in Napoli in 2015, produced by creators working in the field of yachting since 2008. The shipyard is located in the neighboring town of Villa Literno, carrying on the oldest nautical tradition in Italy. The yachts are created with the greatest attention to detail, finding the most precious materials as well as fabrics to accentuate the identity of the Evo Yachts. 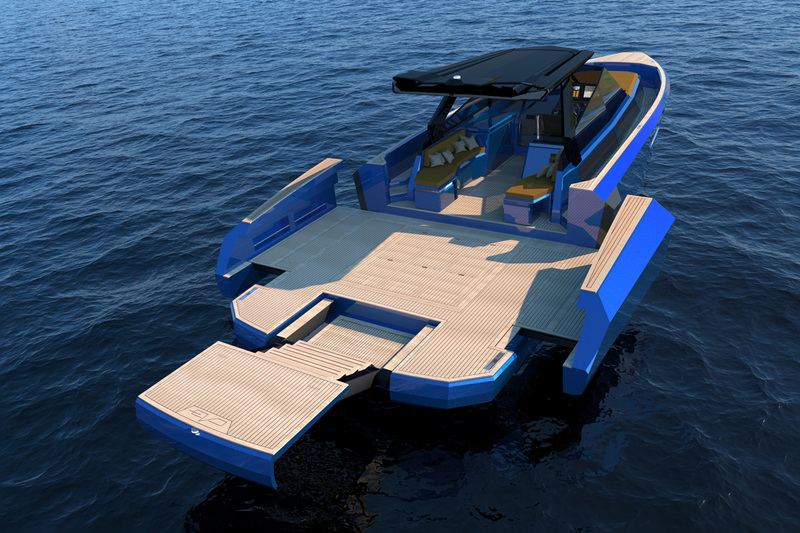 EVO 43 is the first creation of the new Evo Yachts brand. Designed based on a project by Studio Tecnico Rivellini, with exterior and interior design by Valerio Rivellini, built by Blu Emme Yachts, it is a 13-metre day cruiser flaunting sculpted, muscular, yet sleek, minimalist lines. 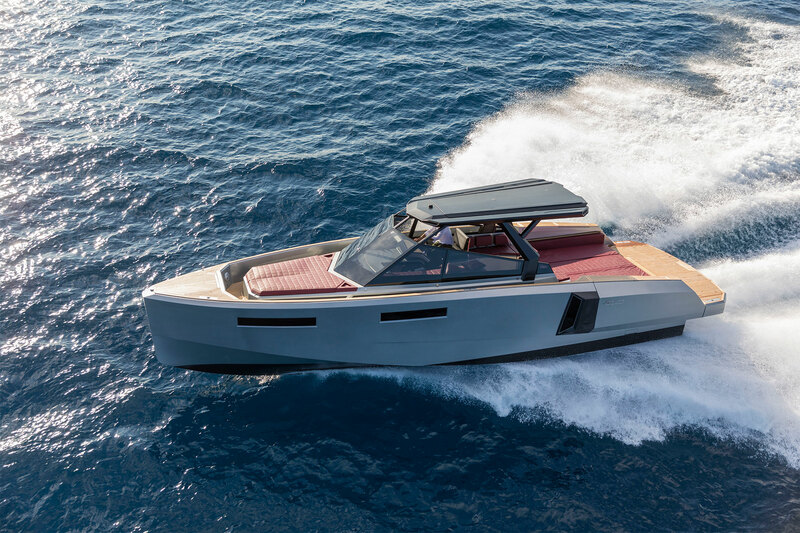 Summarising the concept of form&function (functional design), the boat features a straight bow and high topsides that flow harmoniously towards the stern. The cleats and fenders disappear, leaving clean lines that fully comply with safety requirements on board.